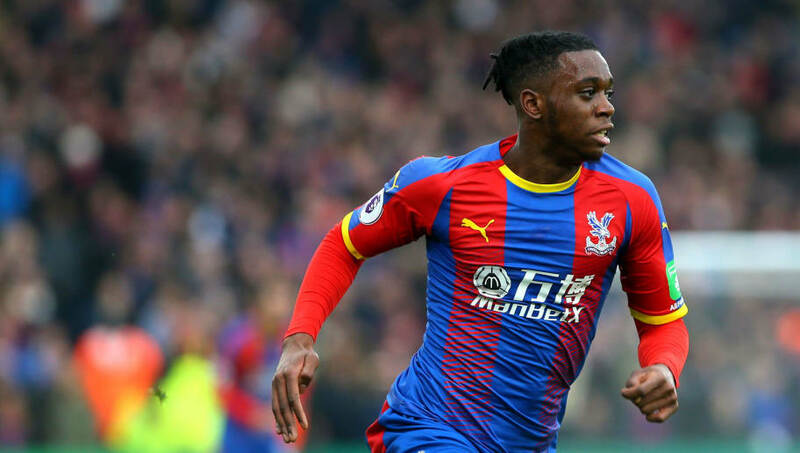 ​Manchester United and Chelsea are reportedly the latest sides to enter the race for Crystal Palace's rising star Aaron Wan-Bissaka. The 21-year-old has enjoyed a remarkable rise following his breakthrough last season, firmly cementing himself as the club's first-choice right back. His impressive performances haven't gone unnoticed, as he is now attracting interest from the Premier League's elite. As reported in ​The Mirror, Chelsea and Utd have joined ​Manchester City in the race for the England Under-21 international whose stunning form makes him widely recognised as one of the ​Premier League's biggest young talents. It is claimed ​Man Utd are lining up Wan-Bissaka as a potential replacement for Ashley Young and ​Antonio Valencia, who are both entering the twilight of their careers at 33 years of age. Diogo Dalot is the other right-back at the club but has yet to prove himself during his limited appearances since his £19m from Porto in the summer. Meanwhile ​Chelsea are reportedly willing to let Italian right-back Davide Zappacosta leave the club with a host of Serie A clubs interested, potentially opening the door for Wan-Bissaka to compete with club captain ​Cesar Azpilicueta for a starting berth in the Blues' defence. ✅ One of only two players in Europe's top five leagues to have completed 40 tackles & 20 dribbles. ✅ Only @PremierLeague player to in top ten for tackles, dribbles & interceptions. The 21-year-old was born in Croydon and joined his local club at the age of 11, making his long awaited breakthrough last season following an injury to Timothy Fosu-Mensah. He grasped the opportunity with both hands however, going from strength to strength during his 31 appearances for the Eagles. Despite vast interest in the starlet, Palace will be under no pressure to sell after recently handing the youngster a new contract which runs until 2022. With the best part of four years remaining on his deal, it will require a lofty bid to even tempt Palace into allowing Wan-Bissaka to leave.